We love Minne Me. Its simple, comfortable and peaceful. This place was just like the pictures! It was clean, easy to find, right on the lake and close to hiking, Grand Marais and Lutsen. The staff was very easy to work with. House was perfect for our needs. Everything worked well, easy to find, no issues. Easy to book, great communication prior to and during our stay. 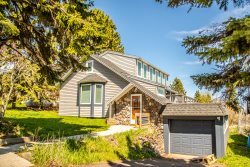 Aspenwood properties are a great north shore location. There is awesome lake views and very little noise from hey 61. It's a hike down the stairs to the lake beach, but easy place for bon fires and rock skipping. Only had contact through the internet, every thing was taken care of. It was very clean and nicely decorated. Would highly recommend it, much better than a motel. We had a wonderful experience at Asle Te! The house is beautiful with plenty of space and the shore front was perfect! Loved our secluded cabin right on the shore. Great location for us. Can't wait to visit again. We interacted with the property management team only. They were very friendly and personable. It was a wonderful experience - thank you! We loved it! We found Chateau Leveaux to be a charming and unique vacation destination. The suite was neat and clean with some quaint personal touches. The kitchen had everything we needed and more. The living area was welcoming and comfortable. The bedrooms were quiet and the beds were very nice. The view was breathtaking. The site is convenient to restaurants and local attractions. Loved the community space too - deck, bonfire areas, access down to the lake. We would most certainly recommend Chateau Leveaux to others & hope to return sometime. Very ways to work with. Always had a quick response to any questions I had. Thanks for everything! My family and I travel to Duluth annually so that I can run in Grandmas Marathon. We always stay in cabins on the lake. I came across this rental completely by accident and was drawn to it because of the property description. We were blown away by the beauty of the house and view. I loved the complete kitchen so that I could prepare healthy and delicious meals that we could enjoy lakeside. I was surprised by just how well the house was supplied. We definitely could have packed far less. How nice to be able to throw in a load of laundry at the end of the day. It was luxuriant to be able to soak in epsoms before and after the race. We loved being able to put in a movie or listen to cds as we unwound after an active day outside. Did I mention the view and the feeling like you had no neighbors while still being close to the attractions? The one fault of the cabin amenities is the size and comfort of the beds in the extra room. My kids were literally rolling out of their beds at night, especially my 14 year old son. If you are going to have twin beds they should at least be the longer ones. The fact that we loved this cabin so much speaks volumes as we own a very different type of cabin ourselves that we escape to any chance we get. The cabin was real nice and the view and the deck were amazing. It was very secluded and i liked that. Road construction on 61 was very bad and was a disappointment and a hassle. I was not told about that at booking and would have appreciated a heads up on that as it delayed our trip in many directions during our stay. The location was great so easy to get to town and sight seeing attractions. We didnt want for anything. Cabin was so comfortable, things to do for all ages. Cascade Vacation Rentals was easy to work with and very friendly. The house was perfect for our 11 member family. Everyone had a comfortable bed to sleep in. The view of the lake when you walk in the house is worth every penny. The location is convenient to most of the state parks and trails. This cabin was beautiful and worth every penny! The view was unbelievable! We are looking forward to renting again next year. We were looking for a nice place close to Grand Marais that allowed u to basically walk everywhere in town, and come back to cook our meals. This location worked beautifully for us. This is our second year renting this cabin because my husband knows my love for the big lake. The experience over all is a great one, and the contact that I have had with members of your team were positive. Love the house and the views, to sit on the deck and listen to the waves hit the shore is amazing. I love to watch storms roll across the great lake. You feel at home right away. We love the Jacuzzi bathtub, it's so relaxing. The kitchen offers almost anything you'd need for cooking a nice meal in the kitchen. The appliances are a little outdated, but everything works fine. I actually love the stove with the griddle and extra oven. We love the fact that we're able to bring our dogs and not worry about them since the yard is all fenced in. We love the telescope in the living room that allows you to see the big ships out on the lake or eagles resting on branches far off in the trees. Excellent !! So nice to work with and also easy ! Beautiful cabin and location! Enjoyed staying here and would come back again. We are not "fussy' people but our only recommendation to the owner would be to "declutter" the interior a little. Beautiful decor but so much that we could not find any empty space on a shelf or any where else in the cabin to lay just a few of our small belongings. Just a small more amount of shelf space would help but this will not prevent us from returning. The office personnel are professional and expert; they take care of business without making it seem like a big deal. We have always had great service and response from CVR. They offer lots of variety in rental locations and price ranges and they are good with important details of rental agreements/keys/check-in, etc. Wonderful location right on Grand Marais Harbor. Walking distance to everything in GM. Loved the 2nd floor balcony -- privacy and a great view. We have specific comments/suggestions, but had a delightful time on this property. We were very happy with service and facilities all around. Office staff is lovely to talk to. This is the first time that we have stayed at Castle Rock - it is beautiful and spacious. There is plenty of space to park multiple vehicles (which is nice for a house this size). Easy access to the shore. We cleaned out the fire pit and made it perfect again. A perfect setting for our family get together.